Construction complete, new playground now open. 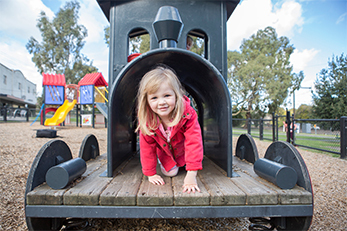 Improvements to this local playground include the community’s most popular requests. 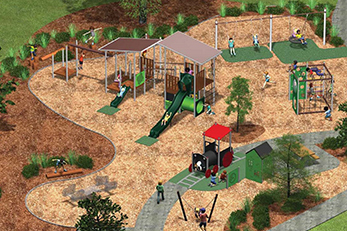 The new playground will encourage imaginary play and will be more accessible for children of all ages and abilities. Challenge yourself on the new cube climbing frame, take a ride on the ‘Deepdene Dasher’ and creep through the nature play space, balancing on logs and rocks! new cube climbing frame with challenging climbing options and turnover bar. retention and relocation of the multi user see-saw rocker. new seating, picnic setting and drinking fountain - accessible for all abilities. 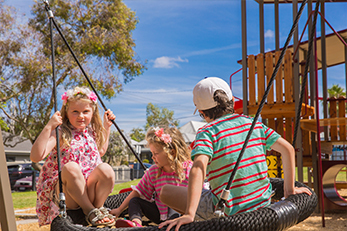 View the proposed Gordon Street Reserve Playground improvement concept plan.